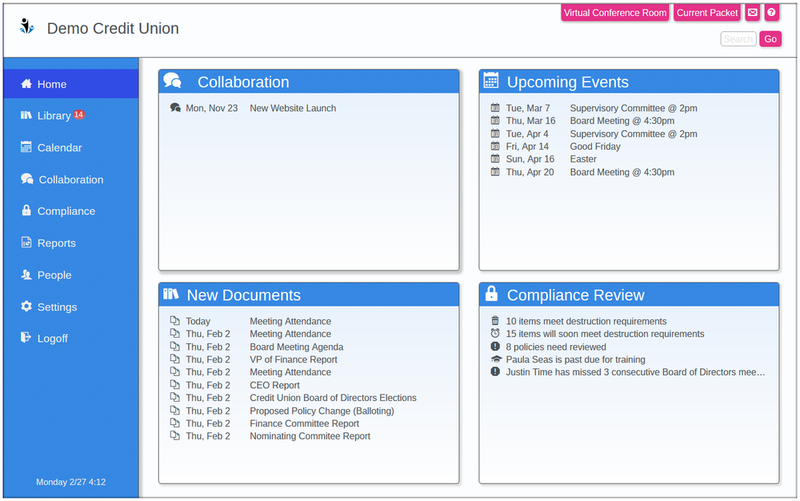 We help Credit Unions thrive using a variety of cloud based products. Every product was custom built at the request of one of our Credit Union clients. 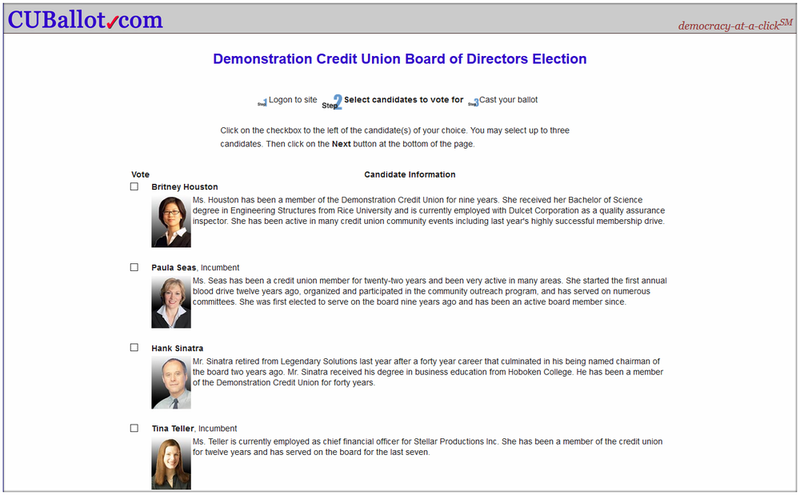 CUBallot lets the Credit Union membership participate in elections such as Board of Directors, mergers, and conversion to private insurance using secured Internet based voting (including all tablets and smartphones), telephone balloting, traditional paper ballots, and paper on demand. We even support voting via Facebook to give every member the option to participate anytime, anywhere. We run the entire election on your behalf as an independent entity. Let your members vote anytime, anywhere... and leave the work to us. 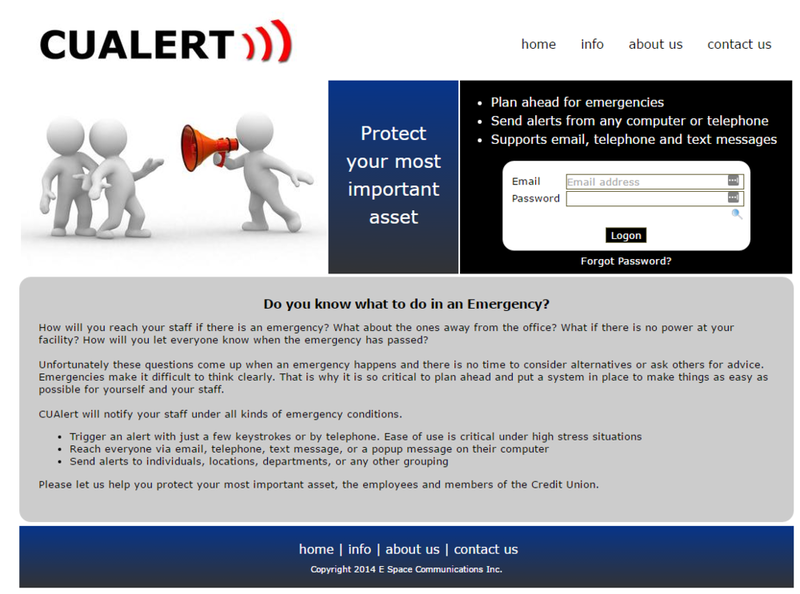 CUAlert notifies your staff under all kinds of emergency conditions. Everyone you wish to communicate with can be reached via email, telephone, text message, or a popup message on their computer. You can allow them to maintain their own contact data so it always has the latest information. Predefined alerts can be triggered with just a few keystrokes on a secure website or via a toll free telephone number to make it easy even under high stress situations. Alerts can be sent to individuals, locations, departments, or any other grouping. CUATM lets your members to locate ATMs directly from your website even if you belong to multiple networks (Alliance One, Co-op, etc). Instead of asking your members to go to each ATM network and search for locations, this service lets them search across all of your networks and your own branches and view the results without ever leaving your website. If you have an idea for a new product, or an enhancement to one of our existing products, please let us know. We are always looking for ways to make these applications even more useful.